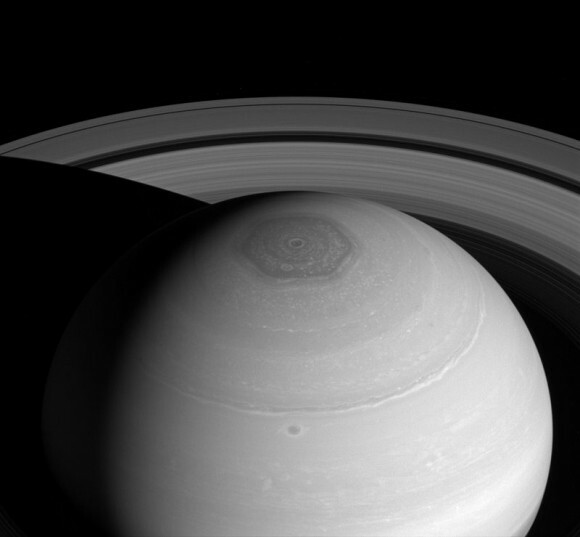 Like a giant eye, the great vortex at the north pole of planet Saturn stares back at the Cassini spacecraft as Cassini stares at it. 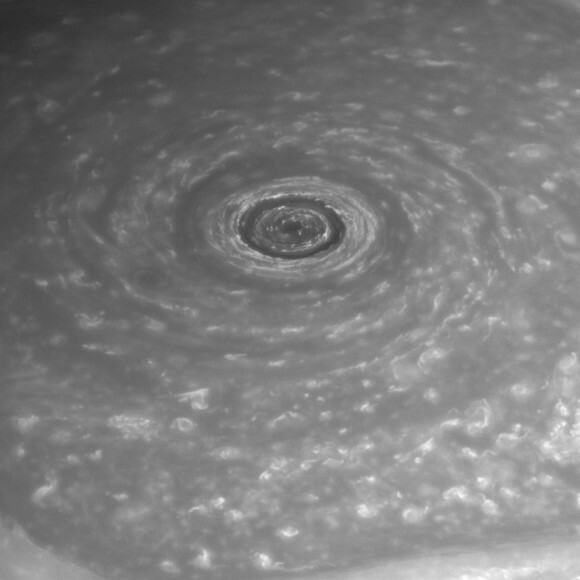 Earlier this month (August 4, 2014), NASA released this new image of Saturn’s hexagon – a persisting hexagonal cloud pattern around the planet’s north pole – taken by the orbiting Cassini spacecraft. The sides of the hexagon are about 13,800 kilometers (8,600 miles) long, which is longer than the Earth’s diameter. 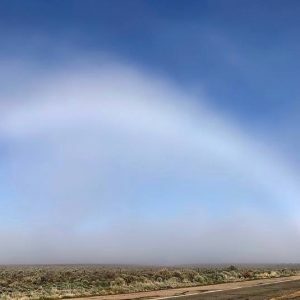 Measurements have sized the “eye” – the vortex at the center of the swirling hexagon – at a staggering 2,000 kilometers (1,240 miles) across with cloud speeds as fast as 330 miles per hour (150 meters per second). 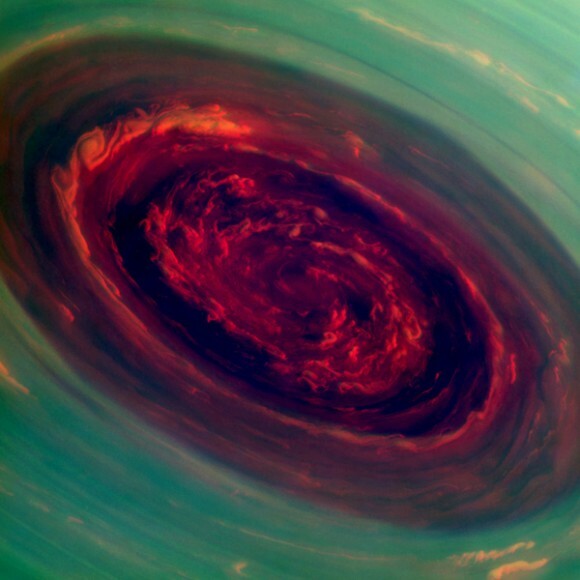 The image above was taken with the Cassini spacecraft narrow-angle camera on April 2, 2014. The view was obtained at a distance of approximately 1.4 million miles (2.2 million kilometers) from Saturn. Image scale is 8 miles (13 kilometers) per pixel.